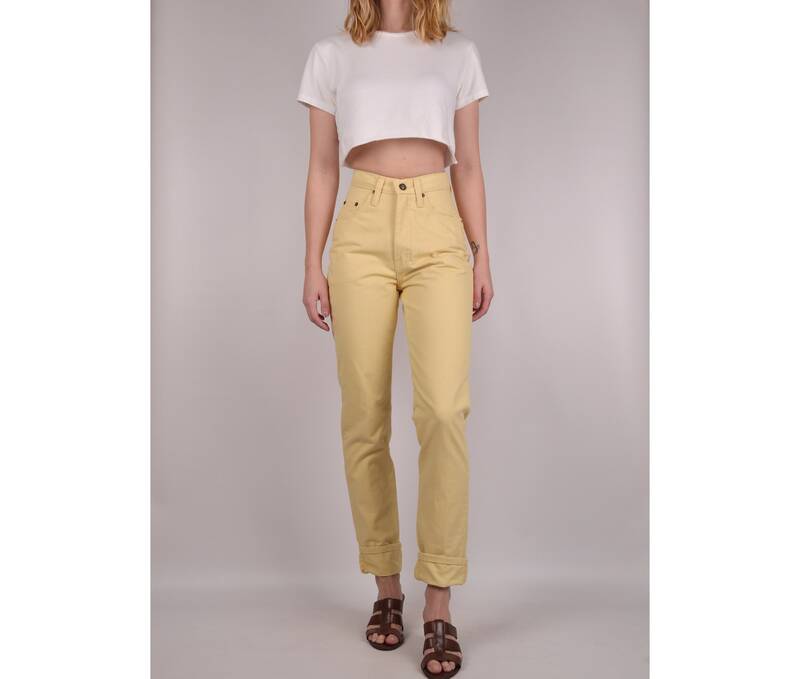 Vintage 90's high waist pale yellow tapered jeans. Made in USA. So cute!